Elizabeth Dowling Taylor: Independent scholar and lecturer in Barboursville, Va. Received her Ph.D. from the University of California at Berkeley and was director of interpretation at Thomas Jefferson's Monticello and director of education at James Madison's Montpelier. Most recently a fellow at the Virginia Foundation for the Humanities. 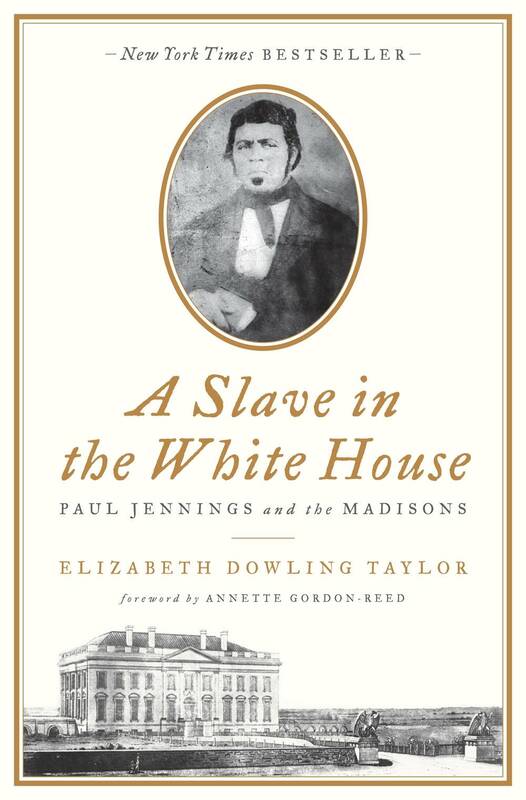 In "A Slave in the White House," Elizabeth Dowling Taylor tells the story of Paul Jennings. Born into slavery on the plantation of James and Dolley Madison in Virginia, Jennings later became part of the Madison household staff at the White House. Based on correspondence, legal documents, and journal entries rarely seen before, this portrait of the times reveals the mores and attitudes toward slavery of the 19th century. "He has a unique story representative of many African Americans of his time whose stories may never be known, but like him overcame a barrage of obstacles for his right to rise," Taylor said in the Star Exponent. Kerri Miller will talk with Taylor about her new book on Tuesday. The book is also Kerri's Pick of the Week. "We tend to make excuses for the failure of our Founding Fathers to end slavery," Taylor wrote in the Huffington Post. "They were men of their time, they had to put union first, they did not understand that we are all one biological race. We look back and see slavery less as a political issue, more as a moral offense. The truth is that Madison and Jefferson saw it that way, too." Let Us Honor Slave-Owning Presidents?